Hard tonneau (truck bed) covers protect the bed of pickup trucks and guard contents against weather and theft. Hard tonneau covers also improve gas mileage by reducing drag and making your truck more aerodynamic. Hard tonneau covers offer the best security and protection and can be custom painted and fit for a seamless match. 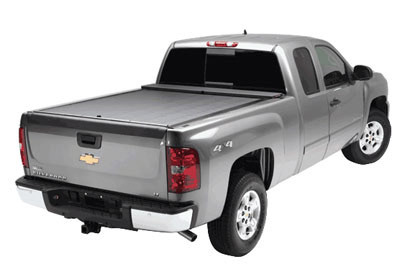 Hard top truck bed covers are made from quality materials and feature heavy-duty locks. Hybrid folding and retractable designs are also available providing easier bed access. Our factory-trained installers are ready to expertly fit your truck with a hard tonneau cover or talk to you about prices and special order options. Contact the top Milwaukee-area hard tonneau installer today for a customized list of products compatible with your truck!